The Portable Nineteenth-Century Russian Reader magnificently represents the great voices of this era. 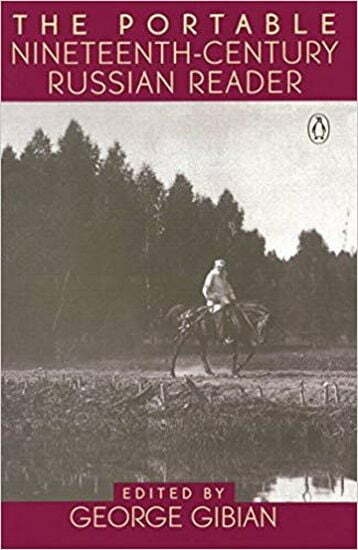 It includes such masterworks of world literature as Pushkin's poem "The Bronze Horseman"; Gogol's "The Overcoat"; Turgenev's novel First Love; Chekhov's Uncle Vanya; Tolstoy's The Death of Ivan Ilych; and "The Grand Inquisitor" episode from Dostoyevsky's The Brothers Karamazov; plus poetry, plays, short stories, novel excerpts, and essays by such writers as Griboyedov, Pavlova, Herzen, Goncharov, Saltykov-Shchedrin, and Maksim Gorky. Distinguished scholar George Gibian provides an introduction, chronology, biographical essays, and a bibliography.